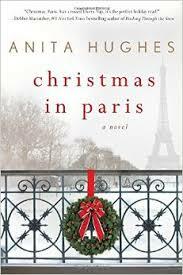 Synopsis (from Amazon): Anita Hughes's Christmas in Paris is a moving and heartwarming story about love, trust, and self-discovery. Set during the most magical week of the year, the glorious foods and fashions of the most romantic city in the world are sure to take your breath away. Isabel Lawson is standing on the balcony of her suite at the Hotel de Crillon as she gazes at the twinkling lights of the Champs-Élysées and wonders if she’s made a terrible mistake. She was supposed to be visiting the Christmas tree in the Place de la Concorde, and eating escargots and macaroons with her new husband on their honeymoon. But a week before the wedding, she called it off. Isabel is an ambitious Philadelphia finance woman, and Neil suddenly decided to take over his grandparents' farm. Isabel wasn't ready to trade her briefcase for a pair of rubber boots and a saddle. When Neil suggested she use their honeymoon tickets for herself, she thought it would give her a chance to clear her head. That is until she locks herself out on the balcony in the middle of winter. Thankfully her neighbor Alec, a French children’s illustrator, comes to her rescue. He too is nursing a broken heart at the Crillon for the holidays. With a new friend by her side, Isabel is determined to use her time in the "city of lights" wisely. After a chance encounter with a fortune teller, and a close call with a taxi, she starts to question everything she thought was important. One (or more) Sentence Summary: Christmas in Paris makes me want to reserve a hotel suite and buy a plane ticket on the first flight to Pairs. While very predictiable, there is enough little turns that keeps it interesting. There were such great descriptions of events and places to see in Paris that I could imagine myself there. I loved how Isabel and Alec meet and the store develops between the two of them and yet we learn about each person individually as well. Would I Read Other Books by the Author: I felt like I have read some thing by Anita before, and finally realized it was Market Street. Check out my review here. 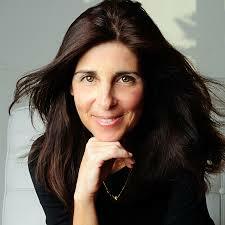 ANITA HUGHES is the author of Monarch Beach, Market Street, Lake Como, French Coast, Rome in Love, Island in the Sea, Santorini Sunsets, and Christmas in Paris. She attended UC Berkeley's Masters in Creative Writing Program, and lives in Dana Point, California, where she is at work on her next novel.